10 Years After the Global Financial Crisis: Where Are We Now? This September marked the 10 year anniversary of some of the most devastating moments of the Global Financial Crisis. In the span of a few days, Lehman Brothers filed for bankruptcy, Merrill Lynch was rescued by Bank of America, and AIG, the world’s largest insurer at the time, was bailed out by the US government. The destruction of wealth was enormous. At the bottom in early 2009, the stock market was trading down to levels first reached in 1996. Headlines mourning “The Lost Decade” of American markets had become both unavoidable and true. As any longtime investor can attest, however, what goes down must come up. Since the depths of the Global Financial Crisis, US stocks rebounded more than 400%. The last two years have been especially fruitful for investors. Both the Dow and the S&P have pushed higher, reaching new all-time highs. Given this massive, decade-long shift, what might be next for the markets? Historically, full market cycles have spanned as little as five years to as long as 20. The current market cycle started in April 2000, and it is still ongoing since the market didn’t fully transition to the bull phase before the bear market hit in late 2007. This means we are more than 18 years into a market cycle. We are also debatably experiencing the longest bull market ever, depending on whom you ask. Regardless of the age of the bull market, today we believe we are entering a higher risk period for stocks and bonds. Although we have revised our outlook, we want to be clear that this is not a call for an imminent recession or a market downturn. Instead, we see evidence that the US is entering a period of peak growth and is moving further into late economic cycle territory. 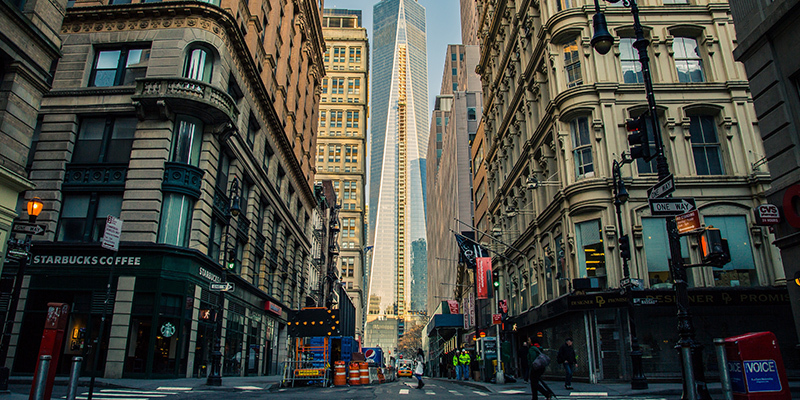 Our increased concern for US growth comes at a time when global risks are also rising. Sluggish growth in China, political uncertainty across the map, and the risk of a trade war are just a few factors we are monitoring as we make investment decisions. At Manning & Napier, we remain focused on these risks so you don’t have to. Our active management approach allows us to ensure your investments are properly allocated to guard against threats on the horizon. And when another downturn does occur – whether it’s next year or next decade – we will be ready to capitalize on the next bull market. 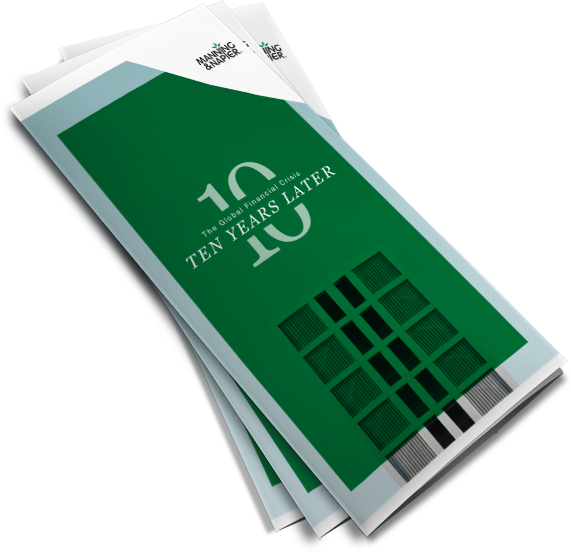 Our new brochure, The Global Financial Crisis: 10 Years Later, takes a look back at those turbulent days and ensuing rally, and our commitment to clients in all market environments. ©2018 Morningstar, Inc. All rights reserved. The information contained herein: (1) is proprietary to Morningstar and/or its content providers; (2) may not be copied, adapted or distributed; and (3) is not warranted to be accurate, complete or timely. Neither Morningstar nor its content providers are responsible for any damages or losses arising from any use of this information, except where such damages or losses cannot be limited or excluded by law in your jurisdiction. Past financial performance is no guarantee of future results.